While wandering around lost in Japan one day, my friends and I saw a sign that read “Make your own pizza”. After being away from the United States for more than three months, and because I had only been eating white rice for the past couple days, I jumped at the chance to have some good old fashion pizza. Japanese pizza is not like American pizza, or Italian pizza, or any kind of pizza I’ve ever had anywhere actually. 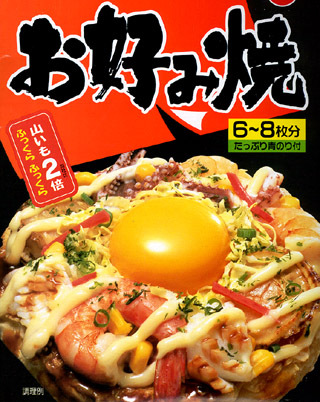 It’s traditionally called Okonomiyaki, which means “whatever you liked, grilled”. You pick from a menu the main ingredients that you want, like extra meats and veggies. They bring everything out to you in little cups and than its your job to cook it. It mostly consists of egg, flours and some other random ingredients. Here’s a link to a good recipe if you are adventurous enough to try this. When you “pizza” is done, you top it with mayonnaise (nothing says good pizza like mayo) and dried seaweed flakes. Yum. This was definitely up there on the most disgusting things I’ve ever eaten list, but Japan is a place full of really weird traditions and cultures, and when in Japan you have to do what the Japanese do!